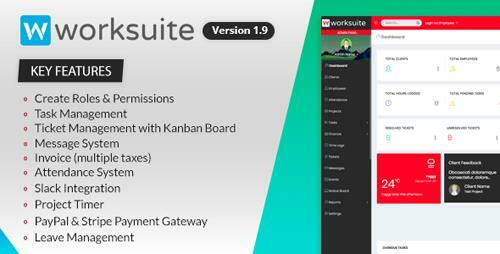 WORKSUITE - project management system. Save all the tasks of your team in one place. Collaborate and work in real time to get real results. Worksuite: the most powerful and easy way to collaborate with your team. Features: Customer Management, Employee Management, Project Management, Task Management, Account Management, Customer Problem Management, Employee Chat, Project Timer, Personal Notes, Post Alert to Team, Report Creation, Multilingual, Export Data to Excel and more.